Using a technique that can tell if a species has passed by from just a sample of water, scientists are developing new ways to assess ecosystems. All animals shed fragments of DNA as they go about their lives – in faeces, mucous, sperm and eggs, shed skin, hair and, eventually, their carcasses. These traces of genetic material can persist in the environment for some time – a matter of weeks in water and up to a few centuries in soil. With new, more sensitive DNA amplification and sequencing techniques, scientists can collect and analyse these fragments in water and soil samples and identify individual species that have passed by. 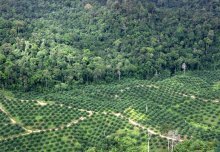 Ultimately we should be able to use it to create a clearer and more detailed picture of global biodiversity. One area where environmental DNA, or eDNA, is finding practical use is in environmental assessments, for example to check whether any protected species are present before construction works are carried out. 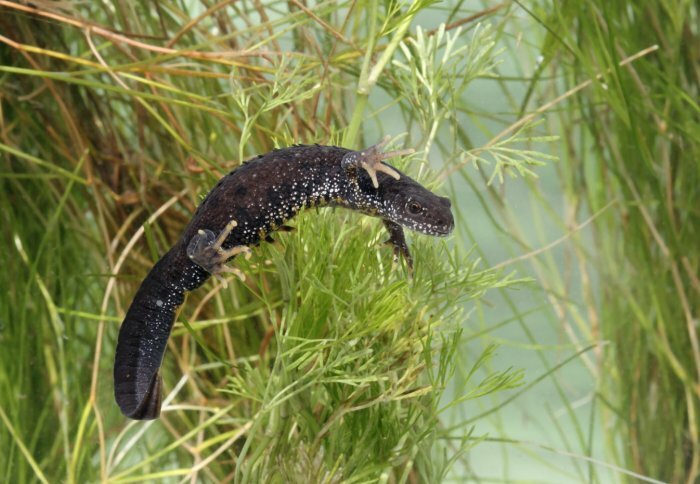 Already, Defra in the UK have approved the use of eDNA sampling to assess the presence of protected great crested newts in ponds. Now, in a new partnership between Imperial College London and environmental ecology consultancy Thomson Ecology, scientists are hoping to expand the use of eDNA. They want to create protocols to assess whether different areas are home to key protected species, including crayfish, water voles, otters and reptiles. As well as looking at key protected species for conservation, the team want to use eDNA for biosecurity, by identifying invasive species. For example, as well as native crayfish, some UK waters have been occupied by invasive American Signal Crayfish, which outcompete the native species and damage the local environment. Early detection of invasive crayfish could mean they are dealt with sooner, and cause less damage. Ultimately, the researchers hope to be able to use eDNA to profile entire ecosystems, analysing water samples to get a snapshot of all the organisms present in the local environment that have shed some DNA. Victoria Priestley, who is taking on this task for her PhD thesis in the Department of Life Sciences at Imperial, said: “I think eDNA surveys represent a sea change in how we approach survey and monitoring of species. Currently, species are assessed based on intensive field surveys, requiring taxonomic expertise and often involving tagging animals and repeat visits to a site. However, Professor Vincent Savolainen, from the Department of Life Sciences at Imperial, is developing new protocols for various species. There is still some way to go before whole-ecosystem eDNA monitoring is standard practice, but I believe that at least in the near future, eDNA will increasingly be one of the options in the survey toolkit. Although sequencing techniques have improved dramatically in the last few decades, challenges remain in analysing eDNA. The fragments degrade over time, a process enhanced by temperature, microbes, enzymes and salinity. The rate that eDNA is 'shed' from species to species and individual to individual also requires more research, as does the role of predators in moving eDNA between sites, and especially how eDNA is distributed in aquatic environments. Professor Tom Welton, Dean of the Faculty of Natural Sciences, said partnerships like this one help translate research into real-world applications: “This exciting collaboration demonstrates that research across the whole breadth of natural sciences at Imperial, even on newts, has practical applications to real world problems. Faculty of Natural Sciences (FoNS) Corporate Partnerships was heavily involved in developing the collaboration between Thomson Ecology and Imperial College London. If you are interested in collaborating with our researchers, we offer opportunities for engagement, and look forward to talking with you. Please get in touch with Dr Becky Wilson, FoNS Corporate Partnerships Manager.